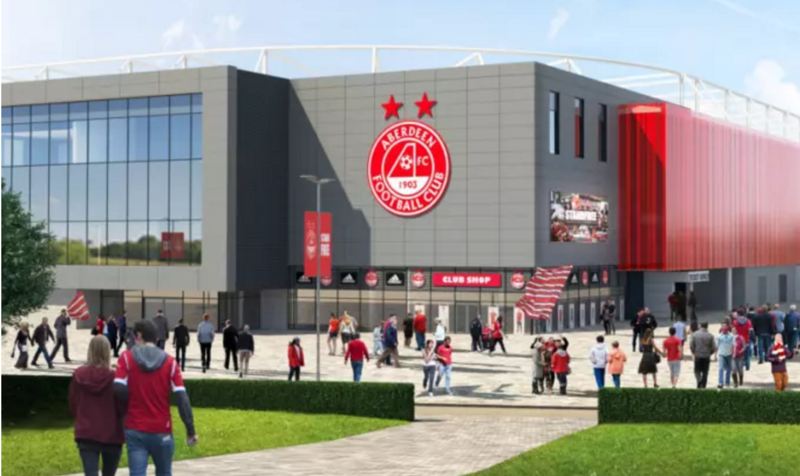 Aberdeen FC has been given the go-ahead to continue with plans for a new £50 million stadium at Kingsford after a judicial review into the project. The hearing at the Court of Session in Edinburgh was brought after protest group No Kingsford Stadium (NKS) challenged Aberdeen City Council’s decision 11 months ago to grant planning permission. Work on the site began last July and the training complex is scheduled to be completed this summer. Dons chairman Stewart Milne said the new state-of-the-art facility, which will replace Pittodrie, would benefit the whole community. “The outcome of the judicial review is welcome news for the club, the council and the wider region,” he said. Lord Tyre’s ruling opens the door for the start of the next phase of construction including the 20,000-seater stadium. NKS has 21 days in which to lodge an appeal to the Court of Session.